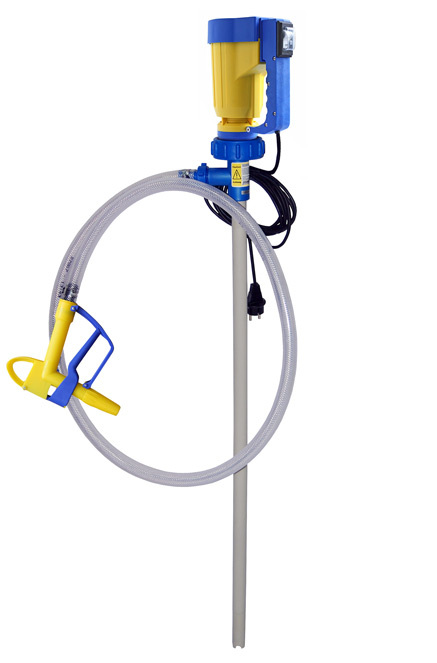 Laboratory pump, hose and pump nozzle were perfectly matched based on our decades of experience and guarantee therefore an immediate usability and durability of our laboratory pumps. 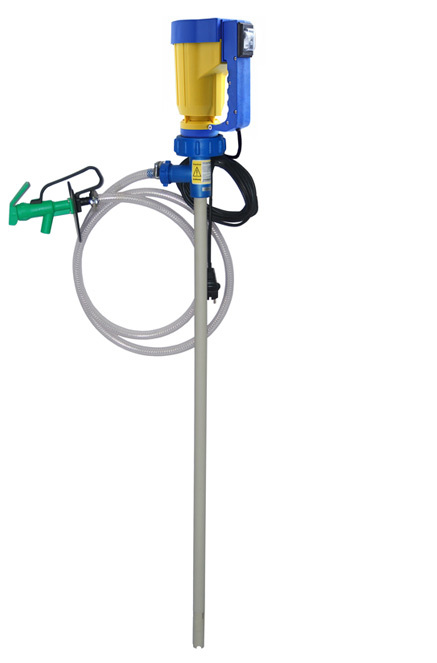 Each of our laboratory pump sets consists of an electric or air operated laboratory pump motor, a pump tube suitable for the application, two meter media-proof dispensing hose and a nozzle, which facilitates filling and transferring. Universal motor JP-120 230 V, 50 Hz, 250 W, protection class IP 24, double insulated category II, over load protection switch with low voltage release, thermo protection, 5 m cable and plug. 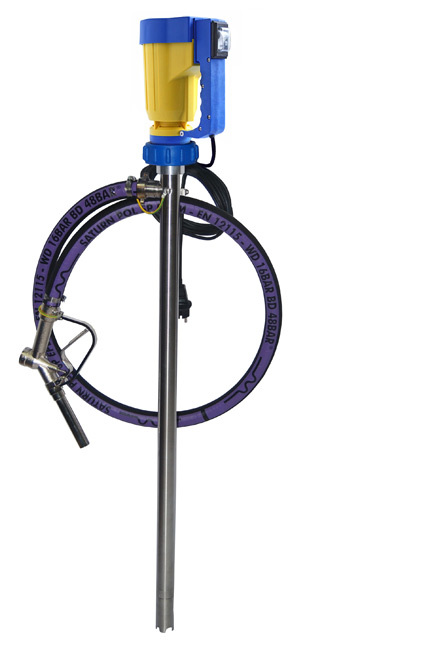 Set with pump tube 500 mm Order No. 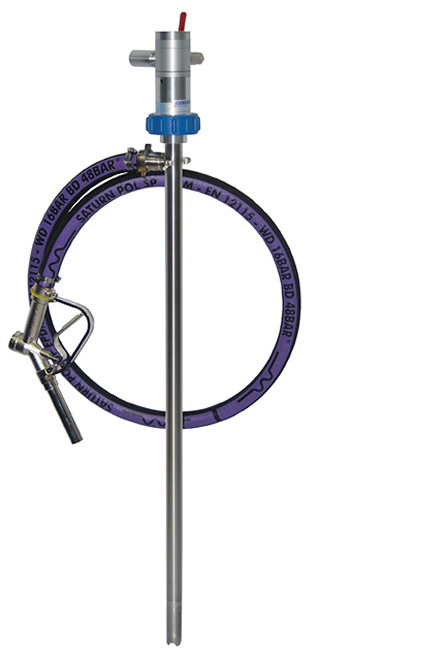 Set with pump tube 700 mm Order No. Universal motor JP-140 230 V, 50 Hz, 450 W, protection class IP 24, double insulated category II, over load protection switch with low voltage release, thermo protection, 5 m cable and plug. Air operated motor JP-AIR 1 300 W at max. 6 bar operating pressure. Motor with brass ball valve and muffler for compressed air control. 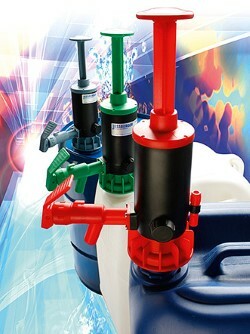 This regulates the motor speed and varies the pumping capacity. 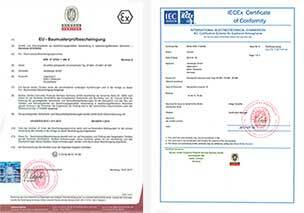 ATEX certificate for laboratory pump is in preparation.